In order to maintain reasonable length threads, certain threads are re-setting for the new year. Do NOT re-post from previous threads - those posts are still around and can be read by anyone. This is for new Appreciation content only. Please note that this is an Appreciation thread. Anything off-topic and/or not appreciative will be deleted and the poster may be banned for rules violations. HAPPY NEW YEAR (in advance =P)! Last edited by TomariS; 01-04-2019 at 07:53 PM. One of my fave clois panels!! Happy New Year to you too!! We're here because of their love..and their love is eternal. Happy and healthy new year to everyone. Hopefully this proves a banner year for Lois and Clark now that Bendis has had time to get settled. 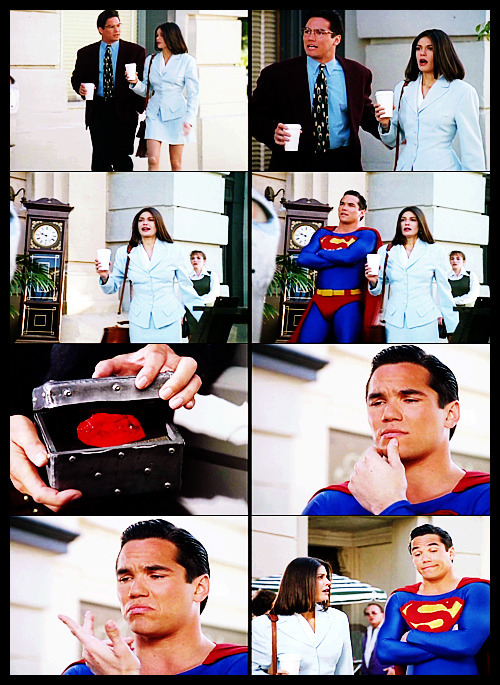 I can't seem to remember but were Lois and Clark already dating in this episode because I love how they somehow turned that big sofa into a love seat They are simply too cute. Clark always acts like he's annoyed when Lois is...well Lois but he secretly loves it. Now I want to watch Hex so I can watch him get even more flummoxed when "Lois" isn't herself and it worries him. Happy New Year everyone. May you all have a blessed 2019.